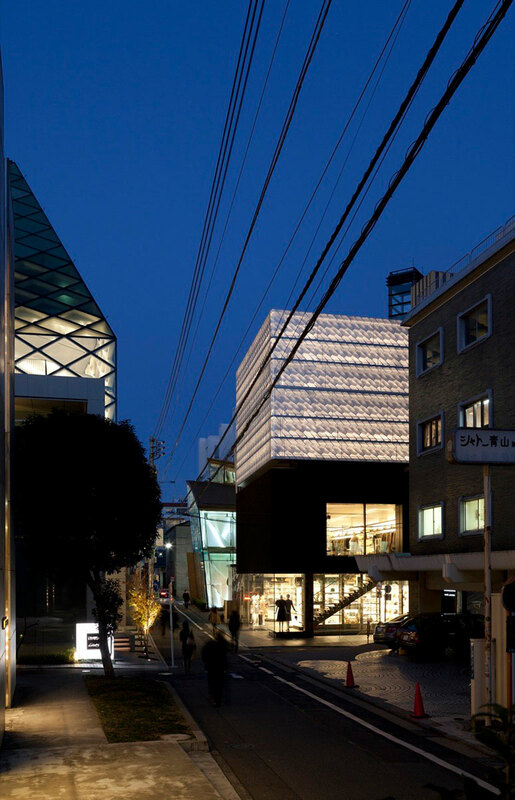 The Marc Jacobs Tokyo flagship is a sleek and sophisticated minimalist building that blends seamlessly into the surrounding residential neighborhood and the world-famous Aoyama district that the building is located in. 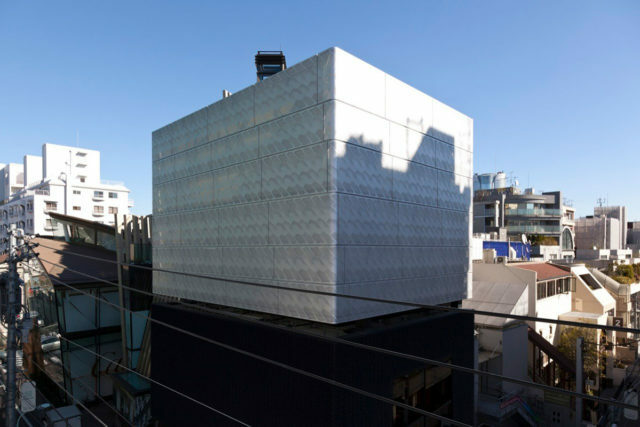 Designed by Jaklitsch/Gardner Architects, the 2,800 square-foot, three-story building had to comply with Tokyo’s strict local codes and zoning requirements. 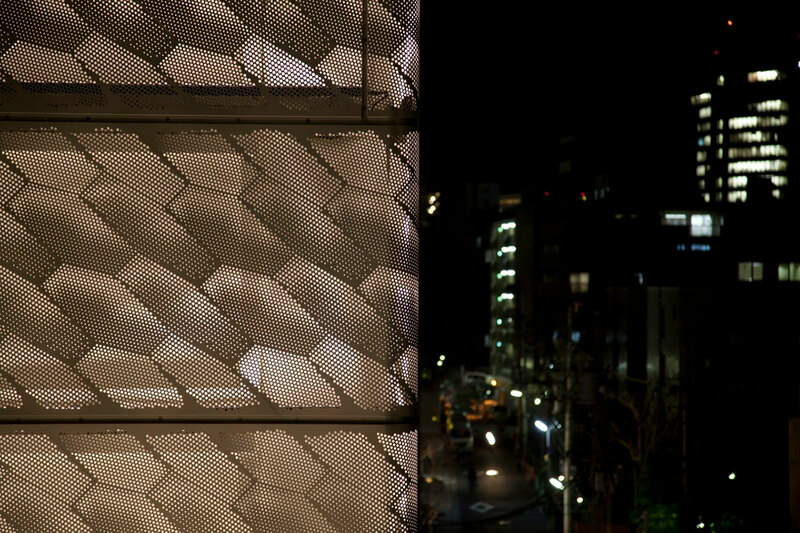 The end result is a fabulous architectural marvel that not only falls within Tokyo’s building requirements, but it also perfectly captures the essence of the Marc Jacobs brand. 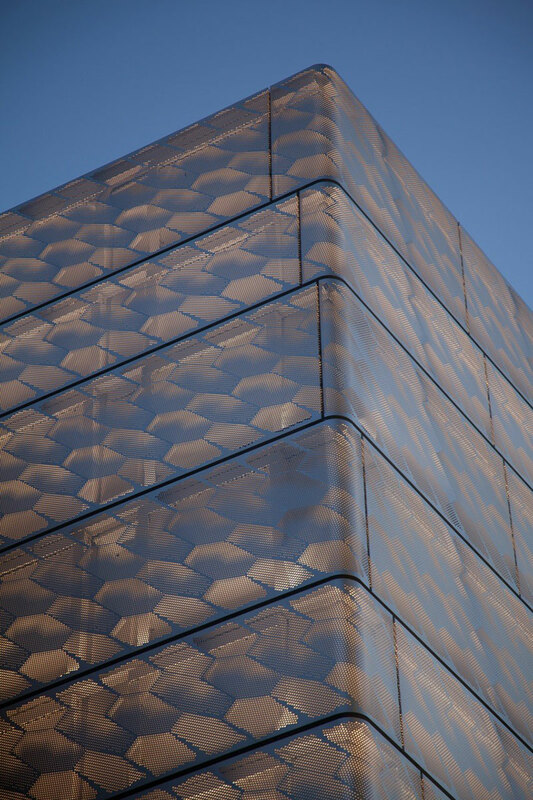 The building’s facade is separated into three zones: a simple and open ground floor, a heavier middle section, and a top layer comprised of perforated aluminum composite material from ALPOLIC and LED illuminated tensile fabric. The aluminum composite panels that make up the flagship’s eye-catching exterior facade feature a Lumiflon-based coating. Coating systems that employ Lumiflon FEVE resin technology offer a variety of benefits that allow a coating to remain in pristine condition for decades. The high performance coatings that are featured on the Marc Jacobs Tokyo building protect the exterior from UV radiation, salt, moisture, and other elements that would compromise the structural integrity of the coating. Additionally, Lumiflon FEVE resin provides superior durability and unparalleled color and gloss retention, which results in fewer recoats and decreased lifecycle costs.